Your team has 66 minutes to enact an exciting story in a specially designed room. Together you solve puzzles and tasks that require creativity and logical thinking, need to find hiding spots, open locks and try to find the key to leave the room again. Check the booking calendar for all of our rooms. If your preferred time is booked in one of the rooms, why not try an other one first? We are looking forward to your visit! Recommended age limit is 12. Youth under 16 can come and play with adults. It happened exactly six months ago. 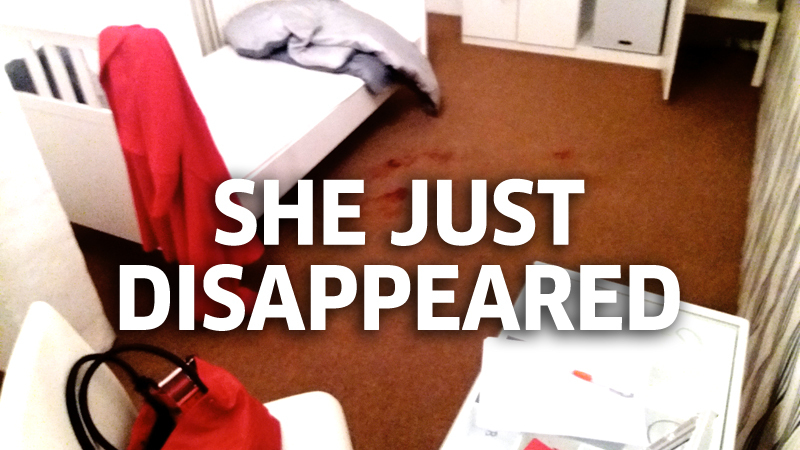 A young woman who had booked a room at a hotel in Helsinki suddenly disappeared without a trace. The woman’s luggage is still in the room. The security cameras in the hotel corridor and lobby prove that the woman hasn’t left the room and that no one has entered. What has happened? The police has conducted an extensive investigation of the room without any result. You are member of the investigation group who focuses on crimes and cases that are not solved yet. Can you solve this case of mysterious disappearance? You must hurry – the room will be cleaned and prepared for the next hotel guests after 66 minutes. Can you find out what happened in the room and to the young woman before your time is over? You are members of Special Task Force that was founded today. 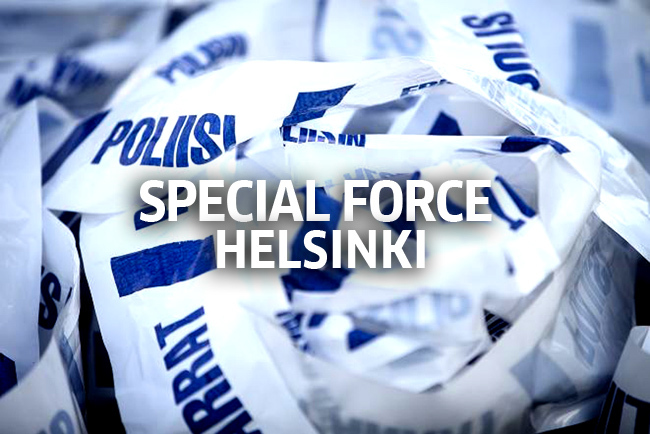 All of Helsinki has stopped after a threat made to Pasila police station this morning. An unknown perpetrator threatens to explode multiple targets in the city, demands high ransom and claims to have a hostage. Your job is to investigate the case quickly, remove danger and identify the threat maker’s identity. Can you succeed in the mission before the perpetrator fulfills their plan? One very famous inventor, who is a big friend of conspiracy theories, has disappeared. Rumor has it that he managed to build a working time machine to his workshop. Anyone, who can get it on, may travel with it through time and space. Follow the inventor back in time and try to solve some of the most famous conspiracy theories -but be fast. The battery of the time machine will only last for 66 minutes! 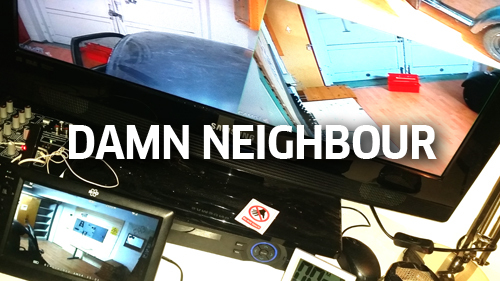 Neighbour – nobody knows anything about the mysterious neighbour or his past. He spends all his time in the garage and only comes out once a day to take out his little dog. Besides loud noise and music no sound is heard from the garage so can you find out what is really going on in there? As the neighbour leaves for his walk you can quietly sneak in to figure it all out. The dog is a feisty little beast and therefore you don’t want to face the dog nor the owner. You better hurry since they will be back in 66 minutes! 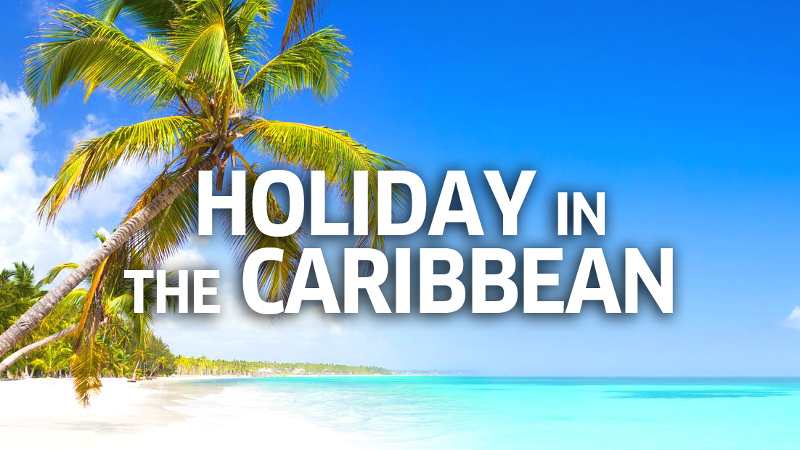 It is the last day of your dream holiday in the Caribbean. You just ordered a taxi that will pick you up within 66 minutes to bring you to the airport. Under no circumstances you can may miss your flight. Your visa will expire today. Your luggage is still unpacked. On the way back to your luxury hotel suite, you somehow mix up the room numbers and end up in somebody else’s suite. Some strange notes and sketches gain your attention. The room’s owner obviously was trying to find a German submarine that sank during World War II somewhere offshore, somewhere really close to this hotel. According to his notes the submarine was loaded with tons of gold and diamonds. Is this story true? Will you find out about the submarine and the treasure? Anyway, you have to hurry. You got only 66 minutes left and the owner of the hotel suite could come back any time. A man has dissappeared without leaving a trace. His wife has inherited all of his funds and has left to travel the world on a luxury cruise ship. In the mean time, you will take care of her apartment and her mail. In return, the lady will regularly wire you money. She also assigned you to be her heirs. One day you’ll open the mail box and suddenly you are in a hurry to find the will. Why? Find out after opening the mail box! It is the most spectacular party of the year and you are part of it. After the legendary Linnanjuhlat on the Finnish independence day most guests continue celebrating in one of Helsinki’s many clubs. Only a few VIPs are invited by the president to continue the celebration in his private quarters. You are the first ones to arrive at his apartment. You have exactly 66 minutes before the other guests and the president with his guards arrive. What hidden secrets can you uncover without being caught? There is quite a lot of stuff that the public does not know, which could seriously harm the president’s reputation and even change the Finnish history books. The president has a lot to hide. This is a whole different level of escape game since this game plays not only in a room but a whole apartment – filled with secrets and exciting puzzles.